Mon., Nov. 21, 2016, 11:33 a.m.
Long-acting reversible contraceptive, or LARC methods, include several types of intrauterine devices and the implant. All have an effectiveness rate of over 99 percent. IUDs are small T-shaped rods inserted in the uterus which prevent pregnancy by using either hormones or copper to prevent sperm from reaching the cervix. The Paraguard IUD is a nonhormonal method that lasts for up to 12 years. It can cause heavier menstrual bleeding and cramping. Hormonal IUD options include Mirena, which lasts for six years, and Skyla and Liletta, which last for three. The implant is a thin, flexible plastic rod inserted in the arm that releases hormones into the body and can prevent pregnancy for three years. Any LARC method can be removed at any time and will not permanently affect fertility. In the days following the presidential election, some people celebrated. Others mourned. And a handful called Planned Parenthood, hoping to get long-acting birth control before the new administration takes office. Planned Parenthood of Greater Washington and North Idaho, which operates a dozen clinics, saw a 76 percent increase in appointments seeking a long-acting reversible contraceptive method in the week following the election. Those methods include four types of intrauterine devices, or IUDs, and a hormonal implant. It’s not just Washington. Google searches for “IUD” also spiked in the U.S. in the two days following the election, Google Trends shows. Planned Parenthood of Massachusetts saw a 16-fold increase in IUD appointment requests, and doctors in other areas have reported similar trends. Women are concerned about a possible repeal of the Affordable Care Act, which required all health insurance plans to cover birth control without a copay, said Tiffany Harms, Planned Parenthood spokeswoman. “They’re directly citing that as the reason why they’re calling,” she said. President-elect Donald Trump has pledged to repeal Obamacare in his first 100 days in office. A Republican alternative health care proposal, posted on House Speaker Paul Ryan’s website, does not mention coverage for birth control or mandating insurers to cover any specific forms of health care. Washington law requires health insurance plans to cover contraceptives if they cover other prescription drugs, without waiting periods. Insurers would be able to charge copayments if the federal law were repealed. Long-acting birth control methods like IUDs are among the most effective forms of contraception, with effectiveness rates over 99 percent. Because they’re inserted by a doctor and left in place, there’s no room for user error, like forgetting to take a pill or putting a condom on incorrectly. “We call it get it and forget it,” Harms said. In spite of their effectiveness, long-acting methods are not widely used in the United States. A 2015 study in the journal Contraception found just 12 percent of American women used the devices. Among family planning providers, a much larger number – 42 percent – opted for long-acting methods. Though they can be cheaper than a monthly prescription for a hormonal birth control pill, IUDs are expensive upfront, costing between $500 and $1,000 for the device and insertion. “The first IUD I got, I saved up for it,” said Rachel Todd, the education director at Planned Parenthood. The high cost of long-acting methods has left some women eager to make sure they won’t be footing the bill if Obamacare goes away. Cheney resident Beth Robinette, 29, got a Mirena IUD in 2013. Though it’s good until 2019, she’s planning to get it removed and have a new one inserted by the end of the year. “I’m going to go ahead and do it before there’s any chance of those things changing,” she said. Robinette previously used a hormonal ring, but switched to the IUD because she wanted a birth control method with a lower hormonal dose that she didn’t have to think about. Her insurance covered the full cost. “It was a lot of money. Definitely more money than I had in my checking and savings combined,” she said. Providers for the Rockwood Health System and Community Health Association of Spokane also can supply women with a full spectrum of birth control devices including long-acting birth control. Kirstin Johnson, a certified nurse midwife who works for CHAS, said she’s also been seeing more patients wanting IUDs since the election. “Instead of three a week it’s three a day,” she said. Though she hasn’t tracked exact numbers, the increased demand has led her to double CHAS’ ordering of the devices in case “there’s a run on IUDs from the manufacturers,” she said. Sarah MacDonald, 30, a Seattle resident, is also considering switching from a contraceptive pill to an IUD. Before Obamacare mandated birth control coverage, she paid out of pocket for her pills. Her prescription was written for a hormone combination, not a particular brand, so her monthly out-of-pocket cost ranged from $35 to $75 per month depending on which brand her pharmacy stocked. That uncertainty made it hard for her to budget. When she was younger, she also lived 25 miles from a pharmacy, which made picking up a monthly prescription difficult. “People don’t realize how hard it can be to get contraceptives and contraceptive coverage,” she said. She’d like to have a longer-term method in place in case her insurance stops covering the full cost, she said. Though health care providers understand concerns over a possible Obamacare repeal, they also said insurance coverage isn’t likely to change immediately. 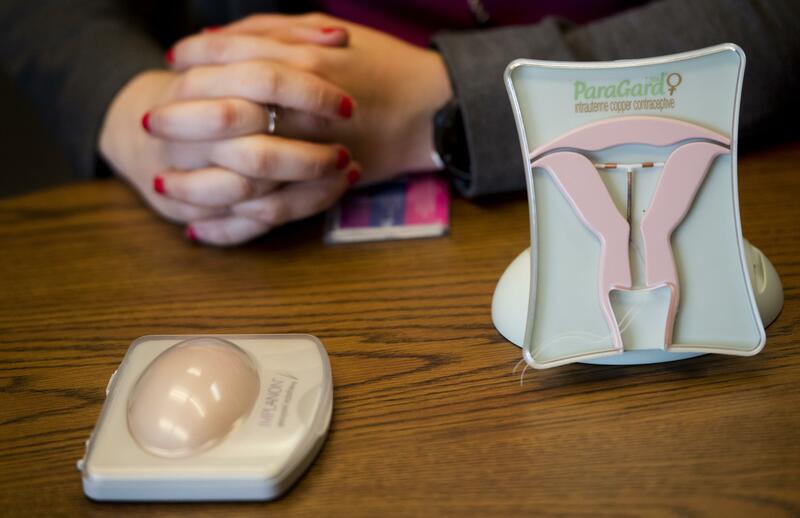 CHAS can’t subsidize the cost of birth control devices, Johnson said, but it does offer appointments, including for device insertion, on a sliding scale to people without insurance. Planned Parenthood also has a sliding scale for birth control and appointments. Harms said Planned Parenthood will remain committed to providing birth control access for everyone, regardless of whether insurance coverage changes. The organization’s founders were arrested in the early 1900s for distributing information on contraception in violation of obscenity laws. “The foundation of Planned Parenthood is to provide these services no matter what happens,” Harms said. Published: Nov. 21, 2016, 11:33 a.m.